Great crested newts have seen dramatic declines in their populations over the last 60 years despite being protected under UK and EU law. 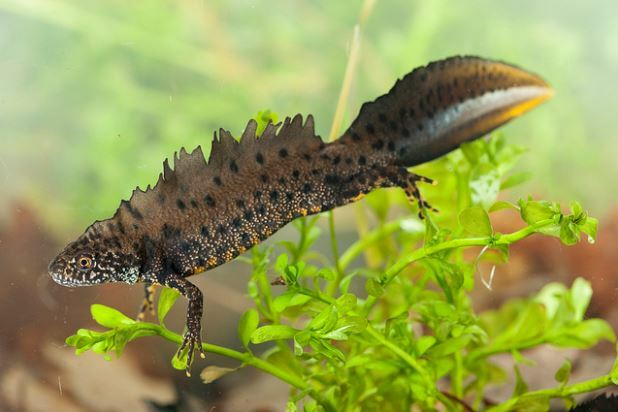 District licensing is a new approach to authorising developments affecting great crested newts (GCN), by focusing conservation effort where it will create maximum benefit whilst reducing delays, costs, risks and uncertainty for developers. It shifts investment from site based assessment and mitigation into strategic habitat improvements. On 28 February 2018 we launched the new approach to authorising development in Kent. The county is a natural strong hold for the species, however experiences very high levels of development pressure which has an impact on the species and their habitats. Previously, licenses were only granted on a site-by-site basis which missed opportunities to manage populations of great crested newts on a landscape scale, resulting in habitats for newts being squeezed around development, sometimes in disconnected patches. Through this new approach, we have taken a bigger, better and more joined up approach to mitigation to ensure maximum conservation benefits for GCNs and in Kent we are licensing and administrating the scheme at a county level to strategically create favourable compensatory habitats offsite of development to compensate development pressures. Currently funding directly from Government has been provided to create a landscape scale network of ponds for newts to breed and colonise. Four of the Countryside Management Partnerships in Kent, hosted by Kent County Council, have already begun successfully working with landowners to restore and create ponds nearly 60 ponds in Kent in advance of development. 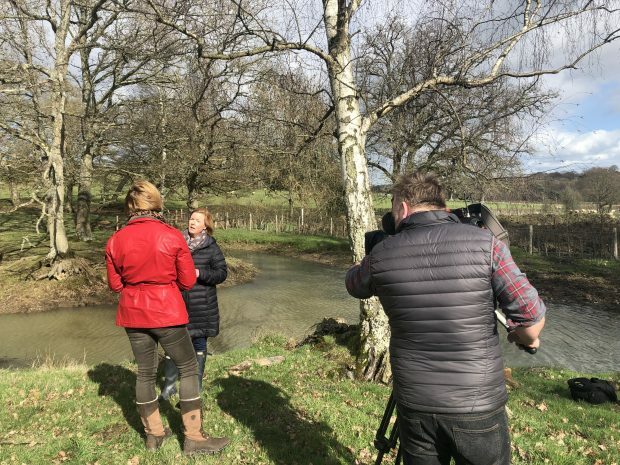 In Scotney Castle, Kent, we have provided the National Trust with funding to undertake the restoration of their ponds, making it a more favourable site for GCN to breed. One particular pond has undergone silting works and the removal of vegetation which has now meant the pond is favourable for newts to breed in and colonise. “For over two years, Natural England’s local and national staff have been working tirelessly with external partners on a new, more strategic approach to great crested newt licensing. This has resulted in the opening of the District Level Licensing scheme in Kent - a victory for wildlife, business and people. Under the Conservation of Habitats and Species Regulations 2017, we can grant a single ‘District Organisational Licence’ to a third party such as a Local Planning Authority, County Council or other external body. This body will be responsible for granting licence applications and permitting construction once mitigation habitat has been confirmed and produced, and will have further responsibility for coordinating its long term management and monitoring. Currently, Woking Borough Council holds this type of licence and the Nature Space Partnership has obtained licences across 7 local authorities in the South Midlands and is looking to extend this to other areas. Where a third party is not available to hold an organisational licence, we will remain the permitting body. Individual licence applications will be submitted to us by the developer, who should the application meet the three licensing tests, be granted an individual licence under the District Site-based Licensing scheme. A modified version of the District Level Licensing approach has been rolled out in Kent, and soon to be Cheshire. We recognise that some conservationists have expressed concerns around developers building on sites where newts are present. We note that District Level Licensing may result in the killing of newts on development sites, but emphasis is placed on compensatory habitat creation in more strategic areas to benefit the wider GCN population in the long-term. Site guidance is also available to developers to reduce the risk of harm should GCNs be present during development. Site guidance is also available to developers to reduce the risk of harm should GCN’s be present during development. We have worked with a number of partner organisations to pull together existing data and surveys on the presence, absence and habitats of great crested newts in Kent, in addition to setting up an expert panel on great crested newts which will bring together expertise from NGOs, government and universities. This data was then used to develop the evidence-based model on which the scheme is based. District Level Licensing for GCN does not remove the need to survey and assess impacts from proposed development in relation to other protected and priority species and habitats, which may still require mitigation. Developers who participate in the project must therefore make the same provision for impact assessment and safeguarding measures for other wildlife as they would if they were not participating in the project. Developers can now buy into the scheme to provide future pond creations and restorations. Guidance for developers on how to join the District Level Licensing scheme is available on gov.uk.